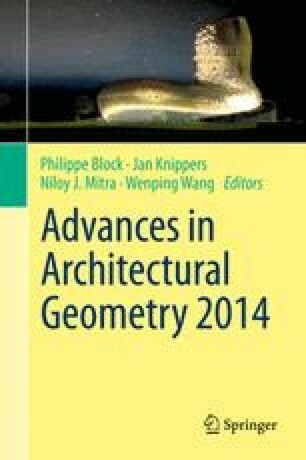 This paper presents a series of new, advanced topology optimization methods, developed specifically for conceptual architectural design of structures. The proposed computational procedures are implemented as components in the framework of a Grasshopper plugin, providing novel capacities in topological optimization: Interactive control and continuous visualization; embedding flexible voids within the design space; consideration of distinct tension / compression properties; and optimization of dual material systems. In extension, optimization procedures for skeletal structures such as trusses and frames are implemented. The developed procedures allow for the exploration of new territories in optimization of architectural structures, and offer new methodological strategies for bridging conceptual gaps between optimization and architectural practice. The authors would like to thank Ole Sigmund for plenty of fruitful discussions and suggestions, and for his active support in the development of the TopOpt plugin. Financial support for the second author, received from the European Commission Research Executive Agency, grant agreement PCIG12-GA-2012-333647, is gratefully acknowledged.